Have a question for Mini Hotel DALKOM Dongdaemun? "Super friendly staff and very cozy, calm and super clean rooms." "Stay here 4nights, all staff very nice and helpful." "Easy access for eateries and transportation." 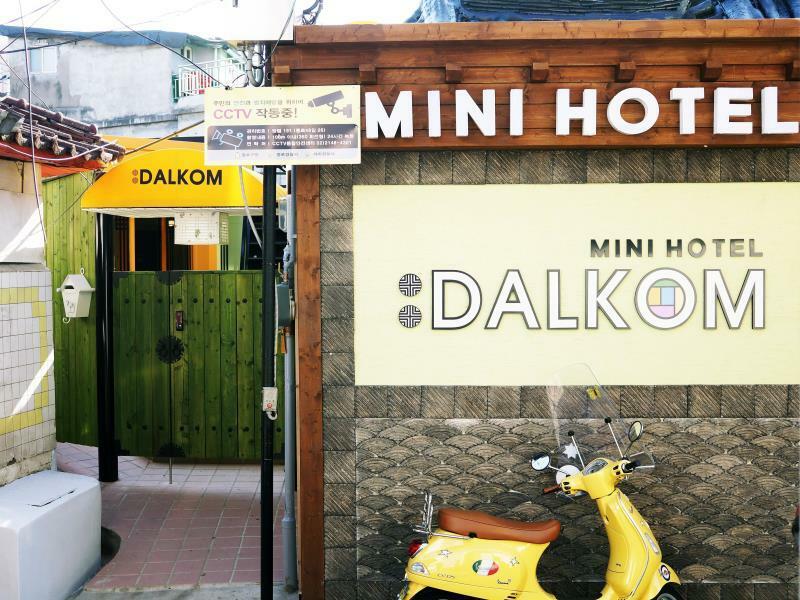 Conveniently located in Seoul, Mini Hotel DALKOM Dongdaemun is a great base from which to explore this vibrant city. The hotel lies 0km from the city center and provides accessibility to important town facilities. With its convenient location, the hotel offers easy access to the city's must-see destinations. Take advantage of a wealth of unrivaled services and amenities at this Seoul hotel. While lodging at this wonderful property, guests can enjoy free Wi-Fi in all rooms, luggage storage, Wi-Fi in public areas, family room, restaurant. 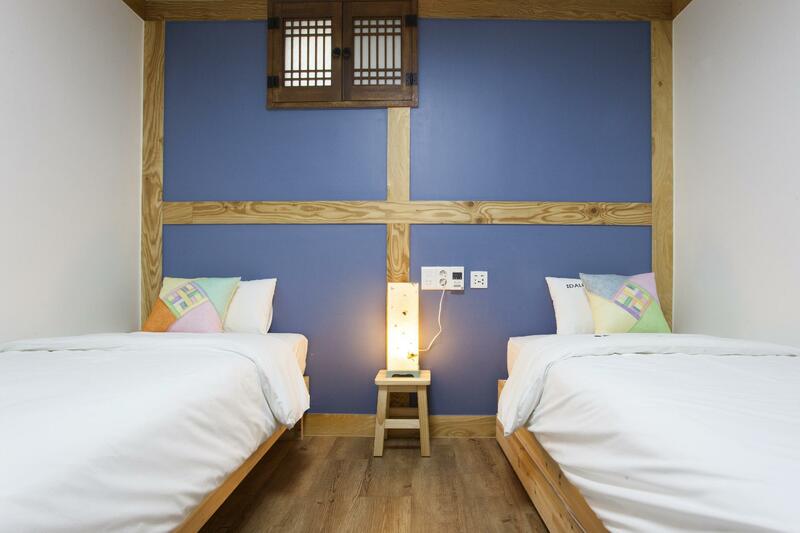 Mini Hotel DALKOM Dongdaemun is home to 19 bedrooms. All are tastefully furnished and many even provide such comforts as television LCD/plasma screen, mirror, internet access – wireless (complimentary), non smoking rooms, air conditioning. Besides, the hotel's host of recreational offerings ensures you have plenty to do during your stay. Superb facilities and an excellent location make the Mini Hotel DALKOM Dongdaemun the perfect base from which to enjoy your stay in Seoul. "Staff are so nice & helpful." I traveled with my parents (elderly). The location was easy to find based on the clear direction provided by hotel via email. Check-in process was fast. Easy access for eateries and transportation. 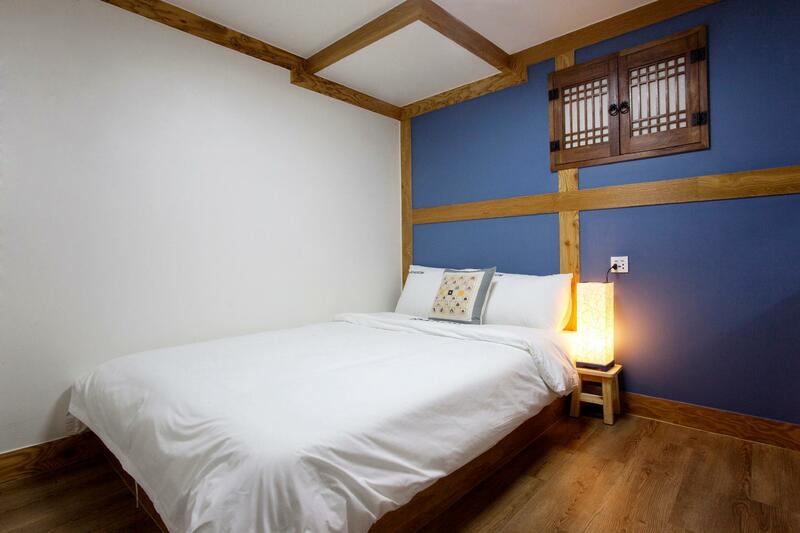 "Semi" Korean style room, with cute slippers. Room a bit small but sufficient for 3 medium-size luggage. The room was Ondol floor heating system (adjustable), which was able to keep us warm in cold weather. Complying with the name of the hotel "Mini Hotel Dalkom": towels were small (Bigger towel will be better), electric kettle was also small and cute (<900mL capacity). Need to boil water 2 times to prepare 3 cups of hot drinks and cereal drinks, but without much difficulties. Staff YaoYao was cheerful, helpful and accommodating in providing information on local eateries and direction. She even helped me to check and suggest the most convenient transportation to go to Seoul Station (taxi versus subway) on our check-out day, to ensure we able to catch the train to airport on time. Good stay. We are glad that you are satisfied with our hotel. We are so sorry to hear the inconvenience, actually we have big body towels, you can request before and it will be prepared on your check in day, or you can request when you are checking in^^, hope to see you next time! 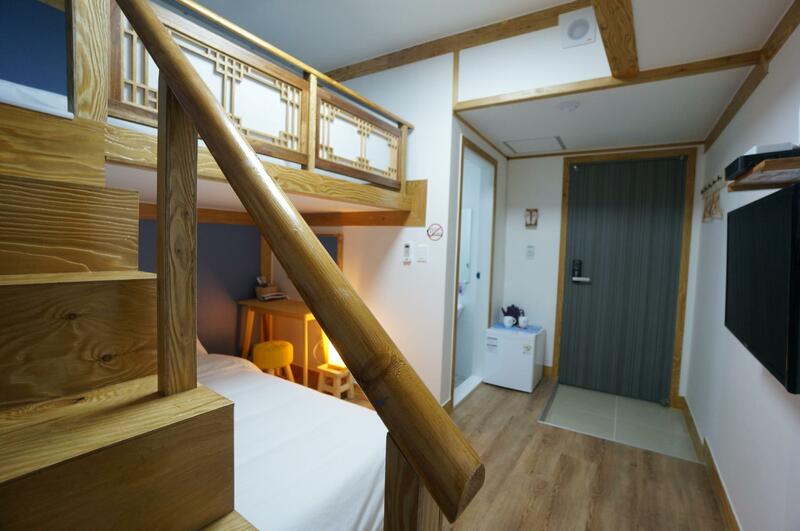 The hotel is located in 3-5 minutes walk from Dongdaemun station. The staff is very friendly and helpful, giving me lots of advise on transportation. There are lots of street food on the main street coming out from Dongdaemun Station exit 5 and walking distance to Doota and DDP. Stay here 4nights, all staff very nice and helpful. Rooms very clean. 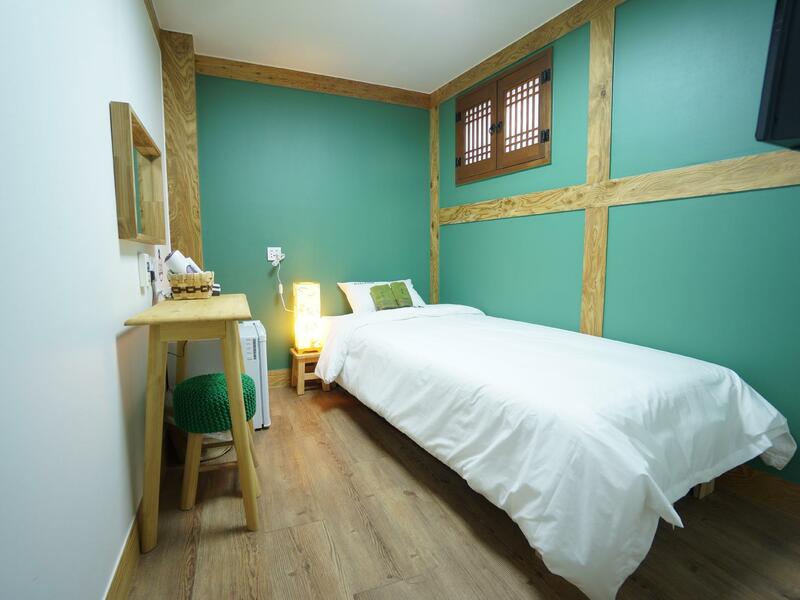 Location very near dongdaemun sunway station, just need walk around 1 min. Perhaps can make a small hotel sign board at the road corner, easy for first time visitors find the hotel. We are glad that you are satisfied with our hotel. I am so sorry to hear the inconvenience. Actually we will send a location email to all customers with map and route^^, hope to see you next time! stayed for one night. location is good (near to the metro station). the staff is kind and a room is clean. a shower room can be better if the space is bigger a bit but still clean enough. considering above, it will be much better if the cost is a bit lower than current. but above condition still gave me a good stay & feeling. Thanks for your kind review and so sorry for we couldn't give you a perfect satisfaction..T^T we will do our best to improve our service to be get a guest's satisfaction. The hotel is very well located in the center. You access it walking in small streets. The rooms are small but well-organized, clean and nice. And the staff is really helpful. I highly recommen this hotel! This is a great hotel. The interiors are nice and clean. They provide simple breakfast. Staffs are friendly and speaks good english / chinese. The location is great, you can shop, come back to unload, and shop again! The airport coach bus stop is nearby too. Overall, we enjoyed our stay. Hello we are glad to hear that you satisfy with our hotel! We are looking forward to see you again! hotel staff is friendly and helpful, reasonable price, location is good which is about 5mins walk from subway station. problem is room a bit small. Great location friendly helpful staff good basic amenities. Staff are so nice & helpful. especially Yoyo & Ellen. Thanks so much! Thank you for your great reviews and we are glad that you are satisfied with our stay!^_^ Hope to see you next time! I like the atmosphere there and everything, but just one thing, I think there should be more options to breakfast. Convenient location with simple breakfast. Nearby have bus direct to airport, 5min walk. Strategic located area near Dong Dae Mun shopping area. Will come again next time.